We're terribly sorry regular flashlights, but you are just way too huge and bulky! How are we supposed to find a large flash light in the dark? 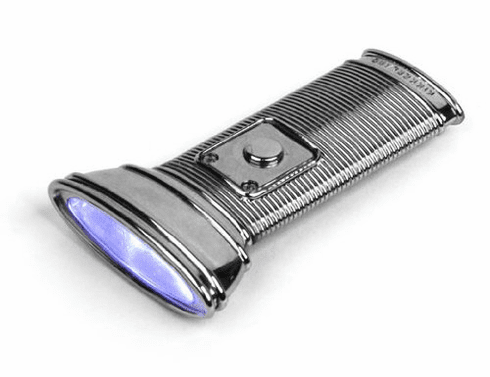 Let’s get real here, our Flat Flashlight is small and retro-styled to get you out of a jam in a hurry! It's super-thin so you can put it comfortably on your key chain, in your pocket or even in your glove compartment for easy access! So let that little light of yours shine! Requires one CR1220 battery (included). Measures 2.5 inches long x 1.75 inches wide.